Star Wars: The Last Jedi rubbed a few fans the wrong way, especially when it came to how Rian Johnson decided to portray Luke Skywalker. 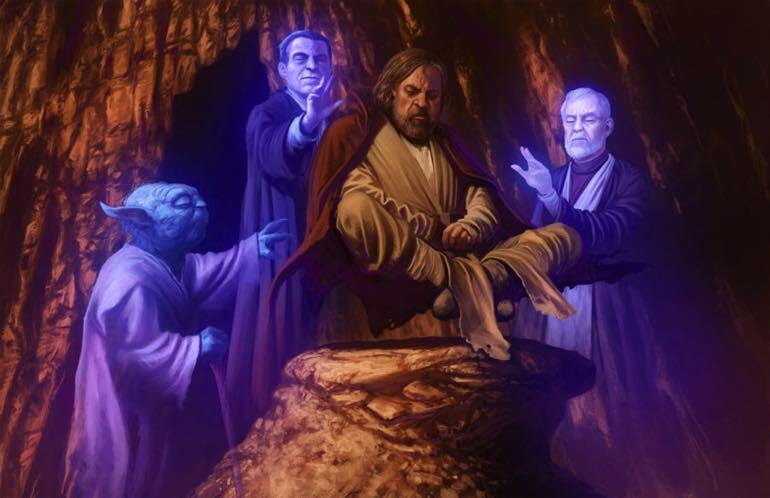 I for one didn’t find anything egregiously wrong with Johnson’s character choices for Luke, and outside of his rudeness towards Rey, I found TLJ Luke to be pretty faithful to the Luke I at least knew. Anyway, there are a few key moments in the film that featured pretty huge decisions, and/or acts by Luke. One being his fight with Rey in the rain, and the other two being his Force projection fight with Kylo, and his death because of it. The last two in particular really captured the heroic actions we know Luke became a legend for, and they’re beautiful Star Wars franchise spectacles. 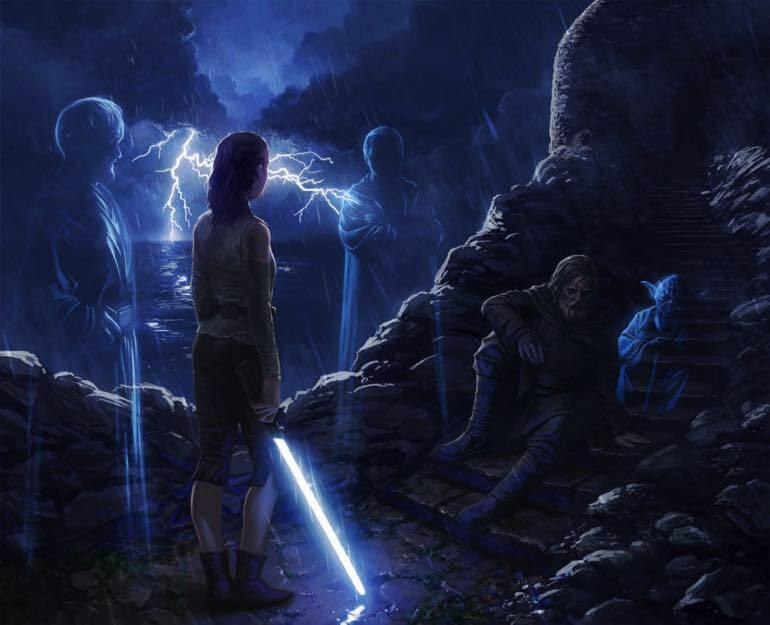 Well, an artist who goes by Jedi-Art-Trick (Tony Wanre) on Deviant Art was commissioned to recreate these moments with some added Force ghost action by a fellow Star Wars fan. 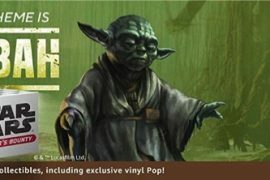 The fan essentially laid down his vision for these scenes, which feature Yoda, Anakin, and Obi-Wan watching over Luke in each of these moments. 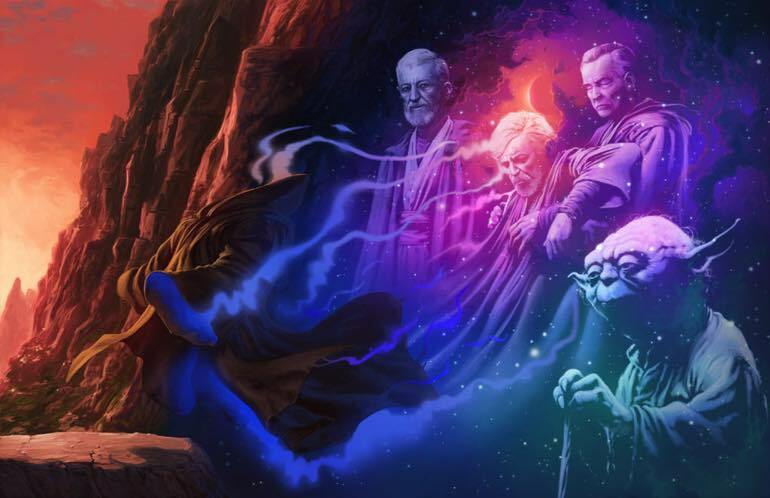 The two scenes with him doing the Force projection are the most powerful, as it portrays his mentors and Father helping him pull off the projection. Then when he succumbs to the will of the Force, his own Force ghost is seen being pulled from his body by his fellow deceased Jedi. The whole series is just beautiful, and they illustrate the scenes perfectly. Make sure to check out Tony’s full gallery on Deviant Art to see higher res versions.